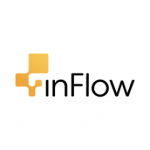 inFlow Inventory is an inventory management app that streamlines the sales process from order to payment. Its features include purchase orders and invoices, customized reports, barcode, quotations, and more. In this article, we cover user reviews and pricing. 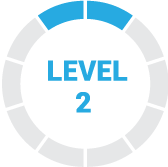 Ready to try inFlow Inventory? Get a free trial. Users who gave inFlow Inventory a positive review said that it allows them to add barcodes and images for more efficient inventory management. Some of them also shared that it seamlessly integrates with popular platforms such as Shopify and QuickBooks. Users who gave inFlow Inventory a negative review reported that the customer support team isn’t responsive. Some of them also complained that their mobile app has limited functionalities. inFlow Inventory has five pricing plans: Essentials ($79/month), Essentials Team ($139/month), Advanced ($169/month), Advanced Team ($299/month), and Enterprise ($699/month). The main differences between the plans include the number of team members and access to premium features such as work orders, bill of materials, detailed account manager, and more. Users may add additional team members at an extra cost: Essentials and Essentials Team ($29/month), Advanced and Advanced Team ($69/month), and Enterprise ($59/month). Ready to try inFlow Inventory? Get a free trial. 6 Best Free Inventory Management Software for 2018 — Free inventory management software allows users to easily organize and classify products. In this guide, we compared the services of six free inventory management software: Square, SalesBinder, BoxStorm, StockPile, inFlow on-Premise, and ABC Inventory, in terms of available features and ease-of-use. How can inFlow Inventory users share product details to their customers? inFlow Inventory enables users to create websites that display all the product details including product name, price, stock levels, stock type, and cost. They can also share the website link to select customers. Can inFlow Inventory users monitor their stock levels? Yes. inFlow Inventory monitors stock levels across multiple sales channels to ensure that users never run out of stocks. It sends alerts whenever an item needs to be restocked or replenished. Not sure if inFlow Inventory is the right fit for you? Read our reviews of all top inventory management software or check out one of these three inFlow Inventory competitors. I really liked its affordable, it did not require me to pay a monthly subscription (for the offline version) and it was more intuitive than most of the ones I’ve tried. The new integrated barcode function of the product. Know if there is a large increase in productivity to be able to create a sales order, review accounts receivable / orders from customers and share transfers in the mobile application or at least in the web application. Multiple ways to analyze and order inventory. I also like the function when transferring the stock that must be received at the new location before the transfer is completed. Ideal for audits. Without access to the API and limited integrations, it is very limited to grow with our business. If they open the API and allow data to flow to and from this it would be a great system, but without that, it is limited and not as good as it could be. The software is complete for my business, but I think that for the big companies it needs some improvements. Also the connectivity is super complicated. The software is very easy to use and the more detailed your initial configuration is, the better your experience will be. I went from a database of access to the entrance through excel and in 15 minutes I was ready to start taking orders. What I liked least about Inflow is that I did not find it first. I reviewed 8 different software packages and none of them really met my needs and most were double or more of the cost of Inflow. I like the team of people who built it. I like that they really care about my problems. And the quality of the software reflects the solid engineering behind it, no other program had done it, that’s why I would have liked to know InFlow first before another program. Easy to manage, the inflow is now the backbone of our companies’ inventory and sales management for our 3 branches. We print invoices, monitor, etc. Basically, all the standard actions taken from the receipt and sale of the item. I do not like the new maintenance payment system every year, some errors with current things that affect the history of the inventory. The time difference can lead to frustrating delays in response times. I would have liked to know that it is not possible to export invoices to Excel instead of Word. It is not possible to have the billing tab segregated from the packing list. I have to do it outside the disk in Word. Ease of use software and satisfactory performance. Customer service helps a lot to resolve your issues. Updates covers most of the problems and features that u want it covered. items page should be able to print. barcoding can be better than what is current. nothing to say in this. Since I started using I loved it. What's the Best Inventory Mgmt. Software?